Debonaire House was poised to take over distribution, sales and marketing of its products in the U.S. at the beginning of next year. Yesterday I get a message from Phil saying he’s has decided to do so a bit earlier, as in right now kind of earlier. In a press release the company announced that it would end its U.S. distribution agreement with Drew Estate effective Jan. 1, 2019, choosing to distribute cigars out of a facility in the Dominican Republic. 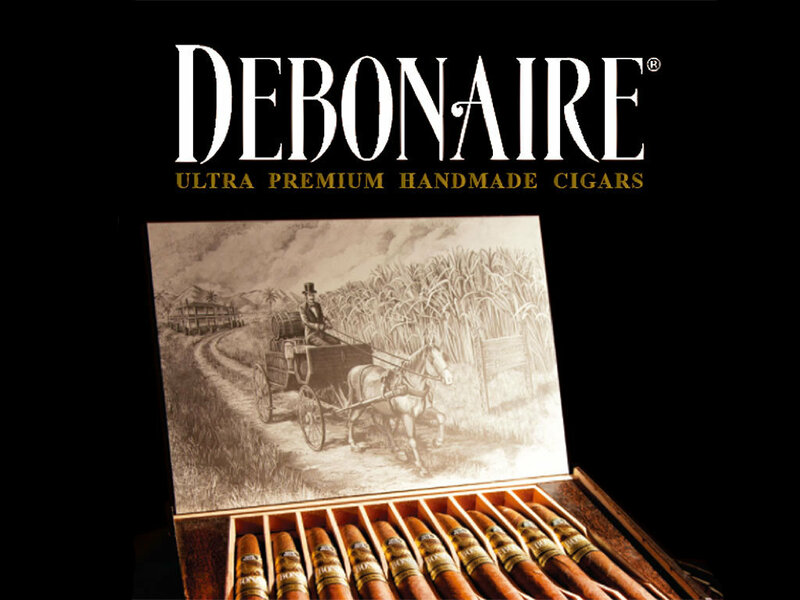 For distribution Debonaire will now be using the United Parcel Service (UPS) Cigars Direct shipping meathod, which will allow the company to ship cigars directly from its factory in the Dominican Republic to its tobacco retailers in the U.S. While looking through my humidor the other day trying to decide what to smoke I came across some Debonaire Habano Belicosos. After smoking it I knew what would be the next cigar I would write about. Obviously from my previous articles about their cigars I’ve had great luck and this one doesn’t fail to deliver either. The look of the cigar itself is enticing and draws you in. The wrapper is milk chocolate in color with a nice light oily sheen to it and some light veining. The seams are tight, the body feels full but not over stuffed, the cigar gives to some light pressure between the fingers but it does not damage the integrity of the roll. The smell from body reminds me of sweet raisins, old leather and a bit of ceder. From the foot the raisin and ceder smell are more apparent and rich tobacco is present. The cap cuts with no issues. The cold draw is easy giving just a slight resistance. The flavor from cold draw is a burst of natural tobacco flavor. It lights easily and burns sharp from the start. The first few pulls give a nice mellow flavor and an excellent amount of meaty smoke production. The first half maintains a nice balanced mellow flavor of dark chocolate, leather and a touch of sweetness. The burn remains even and does not require touching up. In the second half the flavor profile begins to open up a bit with a nice tobacco flavor becoming more prominent along with some earthy notes and red pepper towards the end, however the sweetness is still lingering in there. The construction holds through the entire cigar and the burn is sharp and did not have to be evened out or touched up at any time. The smoke remained plentiful as well. 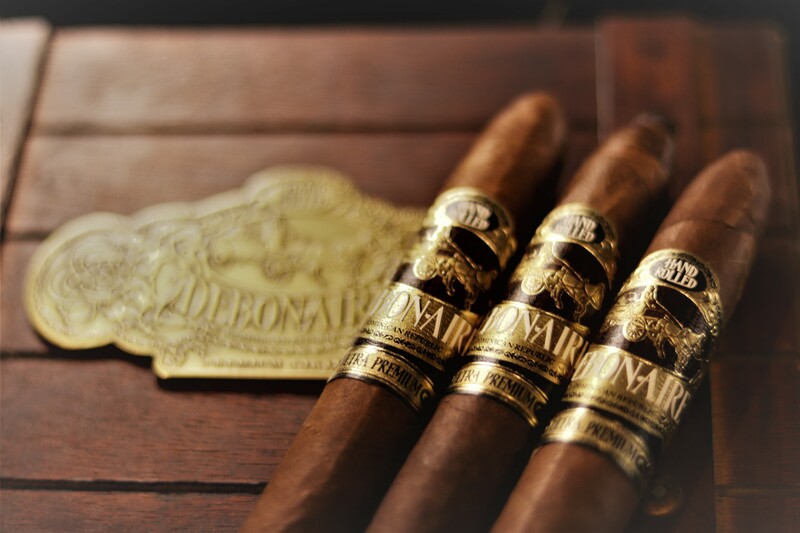 Debonaire has another winner with this cigar. With its medium body flavor it’s a great cigar to pair with just about anything and can be appreciated by just about anyone. It has a solid construction, great quality tobacco, and due to it’s 6×54 size it’s going to be a cigar you can really kick back and enjoy for a bit. I’d say if your looking for a cigar to really sit down and appreciate on a special occasion or when you have a bit of free time with friends and want a quality stick this is the one to grab. With the expanded availability of Debonaire Cigars I have found myself trying more of them lately. The more recent one has been the Daybreak Toro. 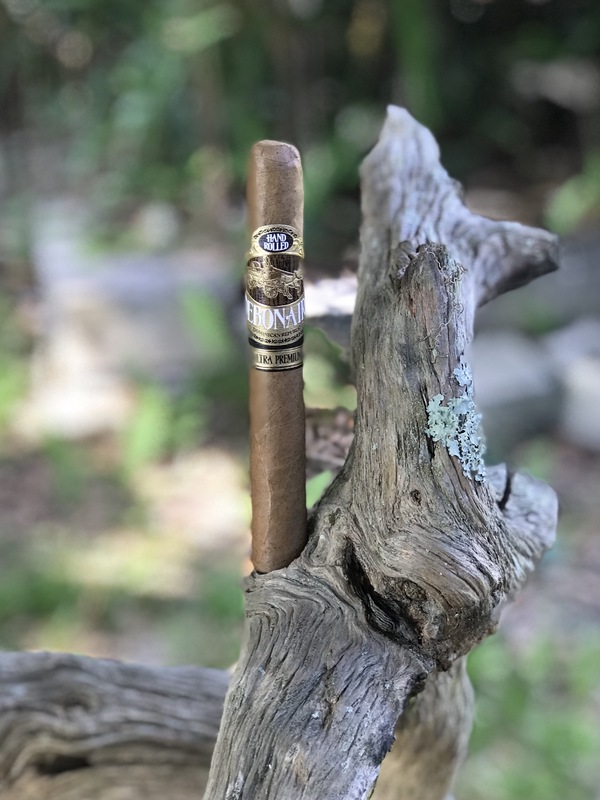 Drew Estate offers this opinion about the cigar, “Wrapped in Ecuadorian Connecticut Shade, the Daybreak offers a full flavor version of a Connecticut wrapped cigar and comes into market at a more introductory price. While enjoying Daybreak, smokers can expect crisp notes of spice and earthiness from the Nicaraguan fillers, a nutty and sweet richness from the Dominican tobacco in the binder and filler, and a smooth finish from the Connecticut wrapper.” While that’s a charming description I’m curious to see what I discover. A view of the body shows a well constructed cigar with tight seams and very minimal veining. The Connecticut Shade wrapper is a milk chocolate color, feels like silk and has a slight oily sheen to it. The roll feels ample but not bulging and no dead spots can be found. The odor from the body is present but soft on the nose giving odors of raisin and cedar. From the foot the same odors are noticed along with earth tones. The cap cuts easily and the construction holds. The pre-light draw is easy and there is no struggle and gives flavors of rich tobacco and leather. The cigar lights with no issue and the burn is sharp. The first half has light bread flavors with a touch of spice falling into the medium body range for me. While smoking through the first half the flavor profile remains consistent and enjoyable. It produces plenty of light weight smoke with an ash that is light grey and holds on for about a half inch at a time. The burn line stays sharp with no need to retouch. Moving into the second half the flavor intensity begins to pick up. The softer bread flavors are still there but move to the back and the spices become a bit more present along with a citrus note that I wasn’t aware of in the first half. Still definitely in the medium body flavor range but a fun shift in taste. It continues to burn sharp for the remainder of the smoke and the construction holds up for the duration as well. In all I enjoyed this cigar, it’s perfect for that morning smoke with coffee or great later in the evening if you want something enjoyable for your palate while you watch a movie. Given that it’s made by Debonaire you know the quality is going to be top notch and the tobacco is going to be superb. While some have criticized the price point it’s worth the couple extra bucks for the quality. If you are looking for a nice medium flavored smoke or are a new smoker that likes a light cigar and wants to step up a bit in flavor without going too heavy, I recommend picking up a couple of these. You won’t be disappointed. Be sure to check out the review of their Sagita Petite Lancero too.